Gone are the days where we have full time house wives, where the father goes to work and the mother is left to take care of the kids, these days, with the current economy situation both parents need to work to provide the best for their children. However getting a good babysitter can also do the job very well but getting someone you can trust is one thing and also its still very expensive. Setting up a daycare or creche is not a easy thing to do at all, it can be challenging and to be successful in this business you need to have lots of love for kids, patience and of course dedication. To set up a day care business in Nigeria you need to have a good day care feasibility study & business plan to help with the right information. Day care business plan will help you begin the business from evaluating the child needs choosing the type of service, setting up the business. In the cities or urban areas there is a very high demand for daycare and creche centers and that is why daycare / creche business in Nigeria is very lucrative. Setting up a daycare/creche center comes with so many responsibilities, taking care of kids is not an easy task but once you have the dedication and love for children you will not see it as a very difficult task after all. This business can be lucrative if done right and that is why getting the necessary information about daycare centers is so important. It is good that before you start get all the necessary information about the business, you can visit other daycare/creche center or talk the owners to learn how it is done. Also Getting a daycare / creche business plan is very important aspect as well. 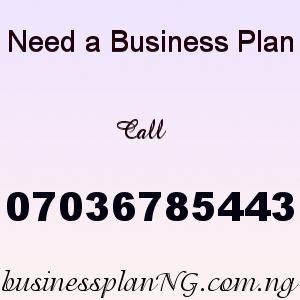 Daycare/creche business plan & feasibility study will guaranty your success in the business so do not take it lightly. Daycare business is not so capital intensive, the only major expenses are the licensing, insurance, advertising. To start your own daycare/creche service you have to be licensed by the appropriate regulatory body. That is why its important you get the necessary guideline and policies. To get an approved daycare center, a state agency representative will be sent to inspect your daycare center so its better you are prepared when they come to inspect. No one will know you have a daycare/creche center if you do not get the words out there, so advertising is very important for all businesses. However the quality of service you provide will speak for you but as a starter you need to tell people about your business and there are different ways you can do that. You can advertise your business with fliers, word of mouth, business cards, local radio stations and television adverts. After paying for your daycare / creche center Business In Nigeria Business Plan and Manual, send your email and payment details to 07036785443.